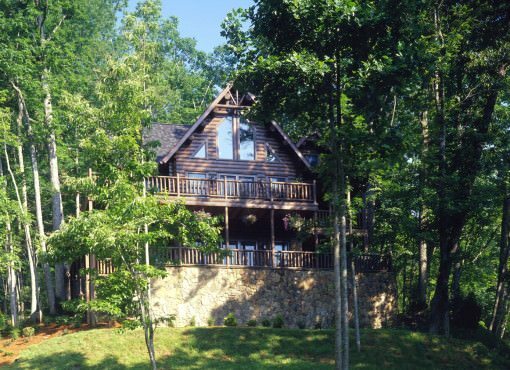 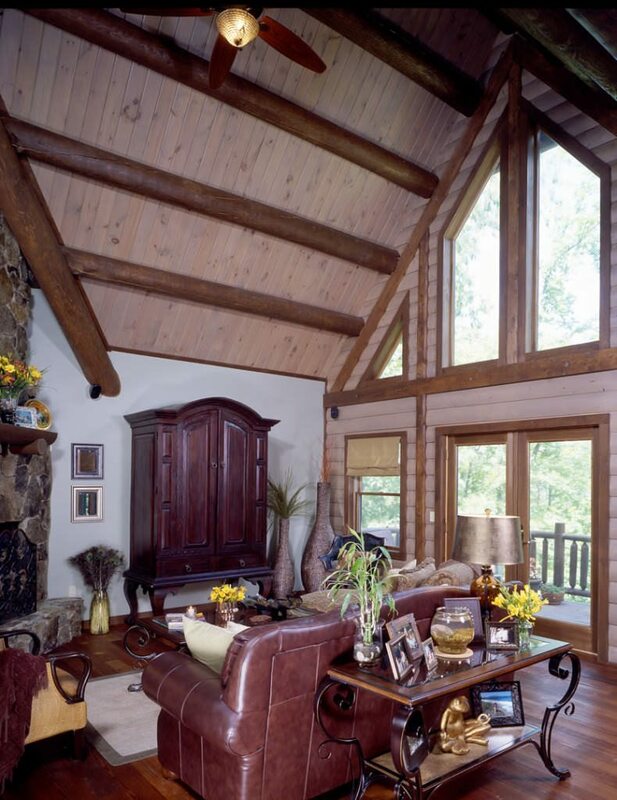 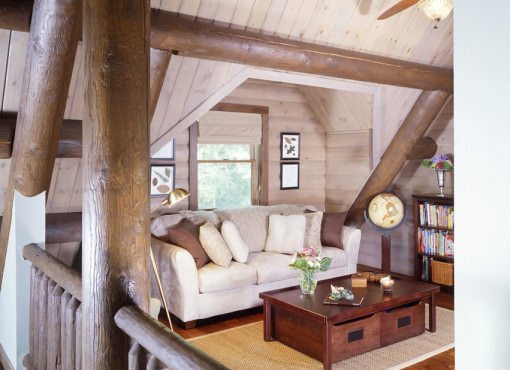 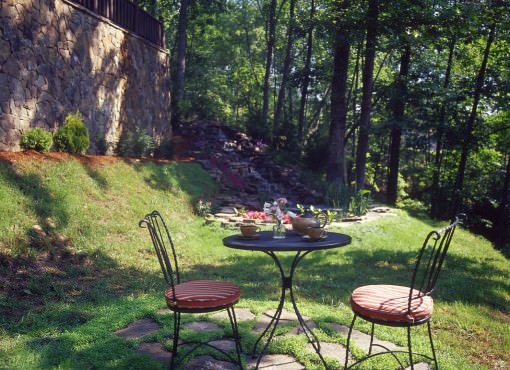 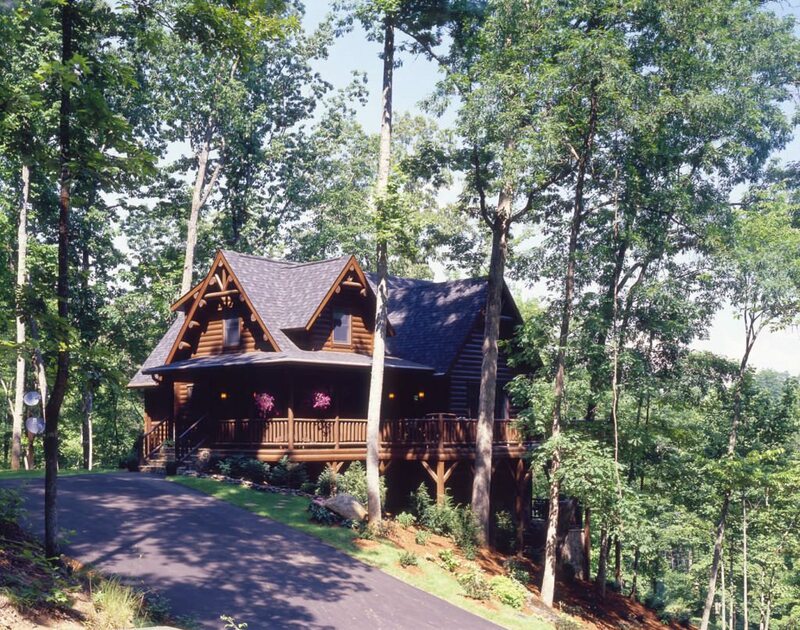 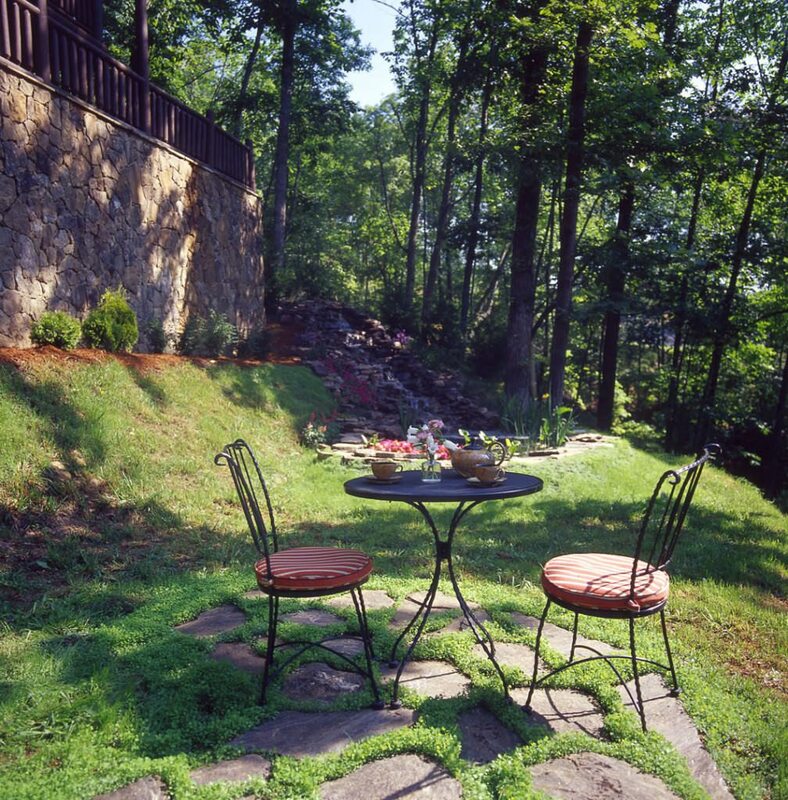 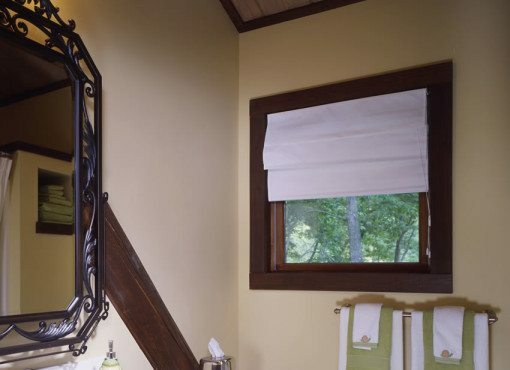 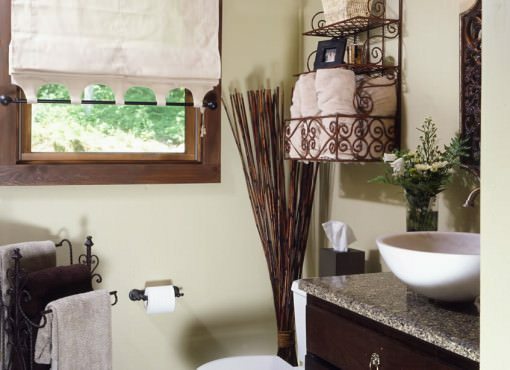 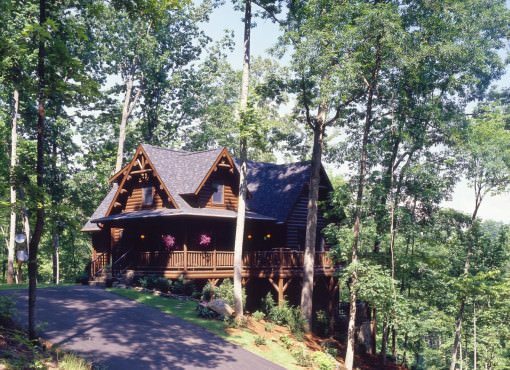 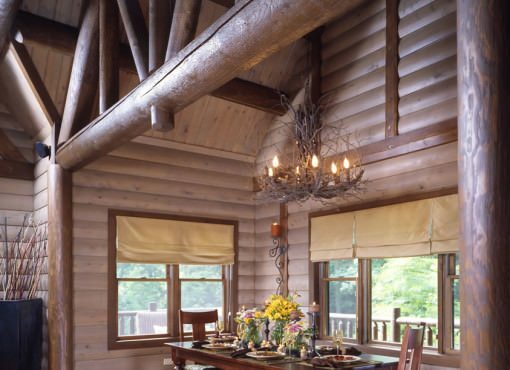 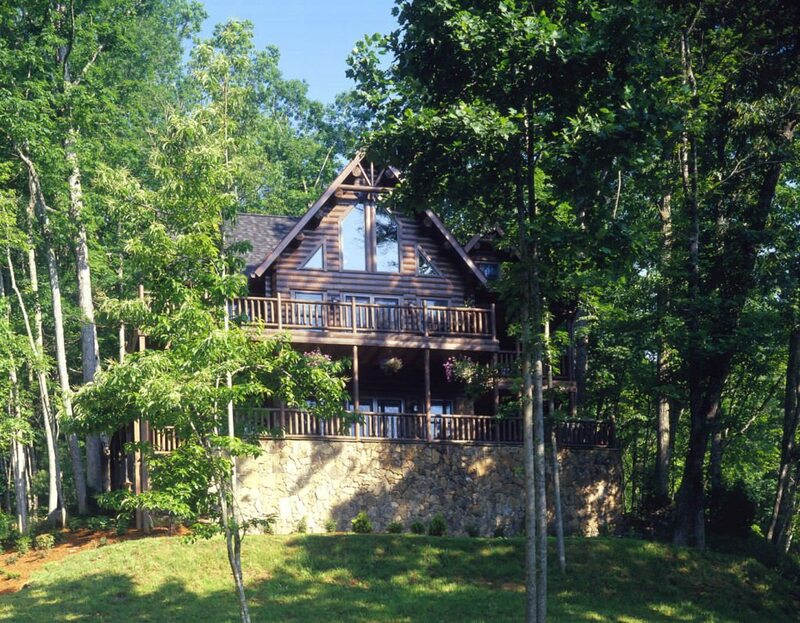 This lovely home is nestled perfectly in the woods of North Carolina. 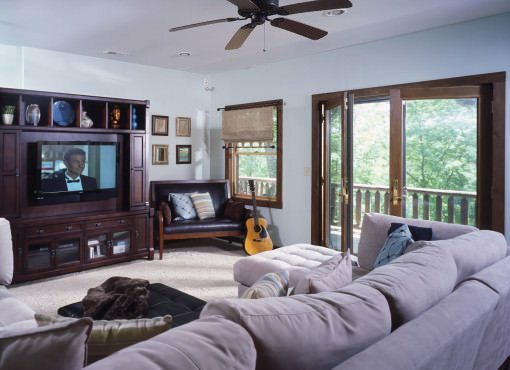 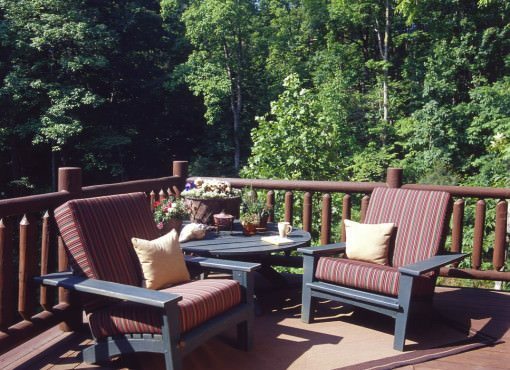 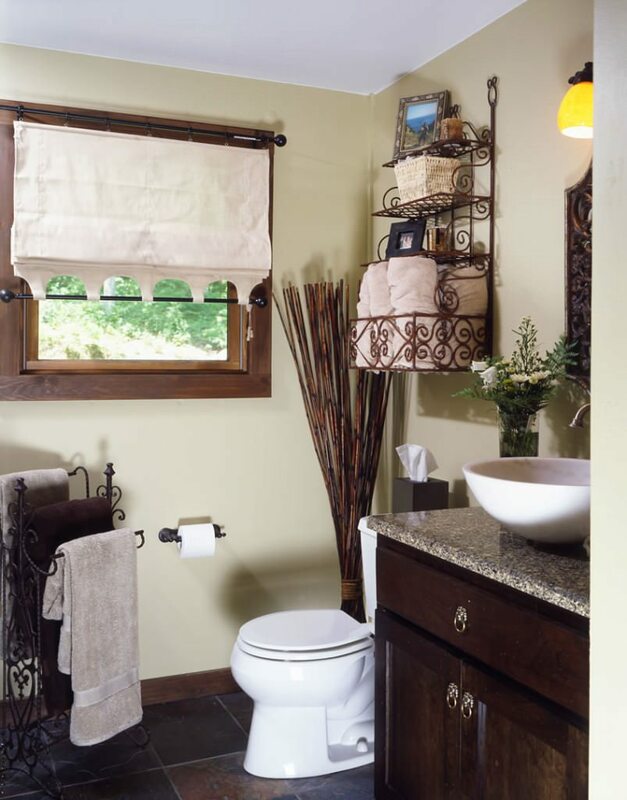 A comfortable 1,400 square feet, this home contains two bedrooms and two bathrooms. 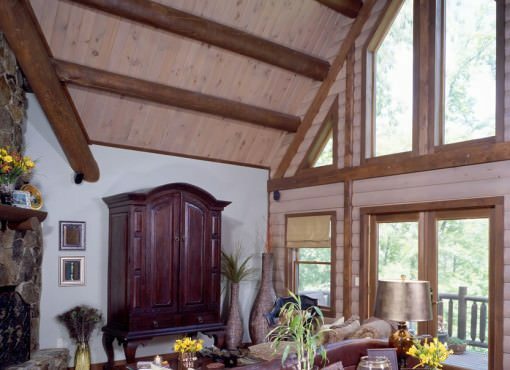 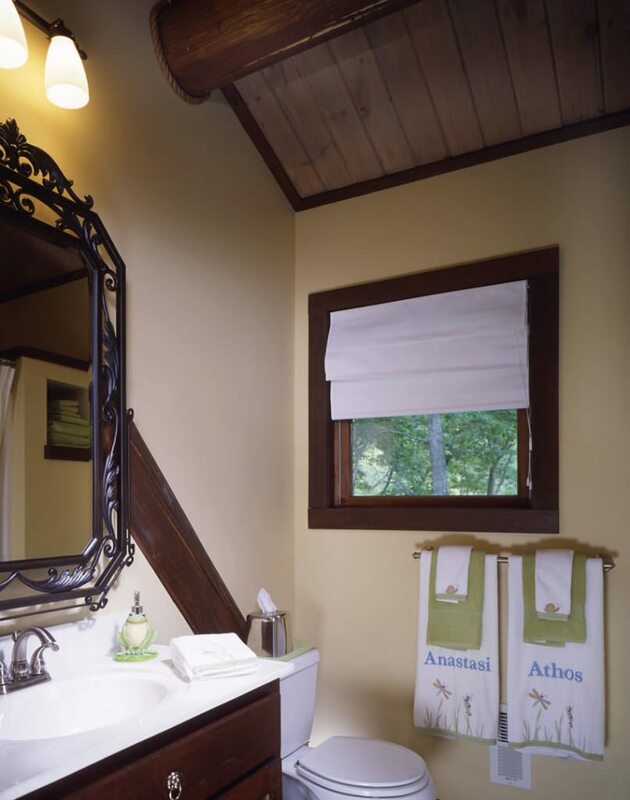 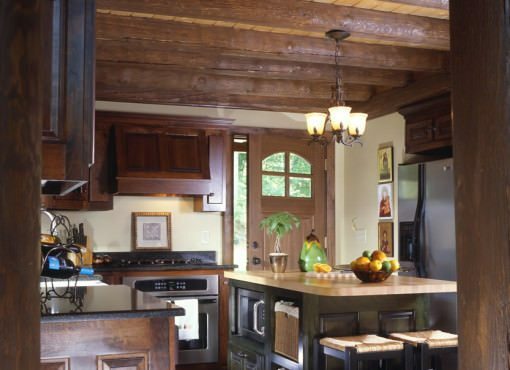 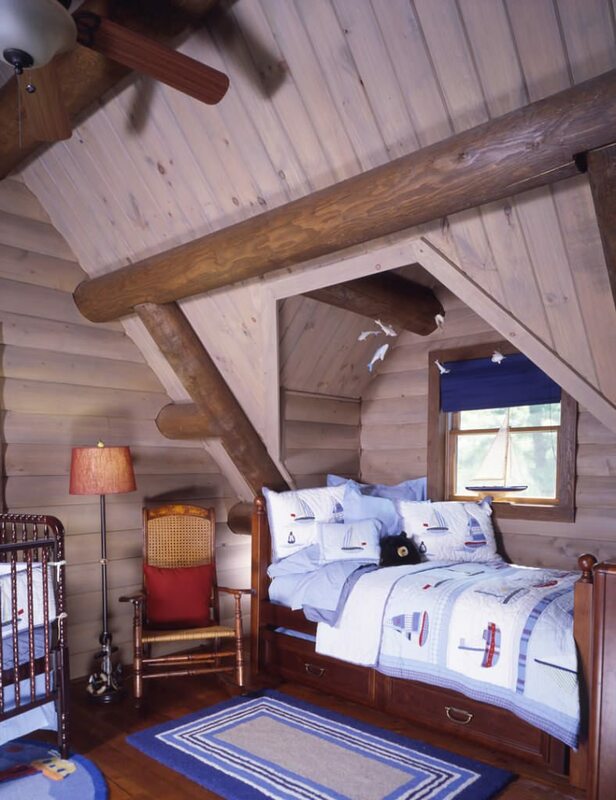 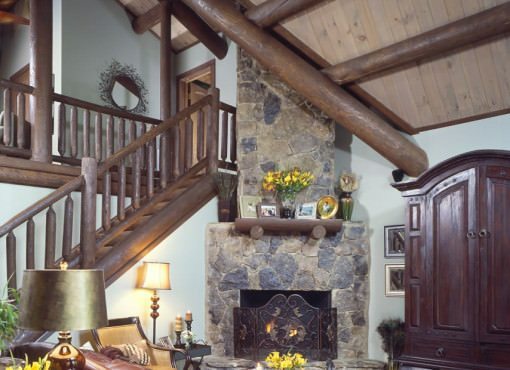 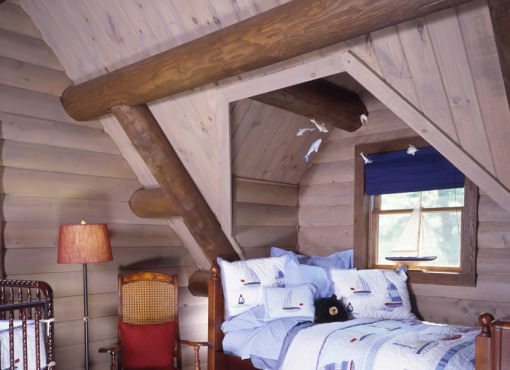 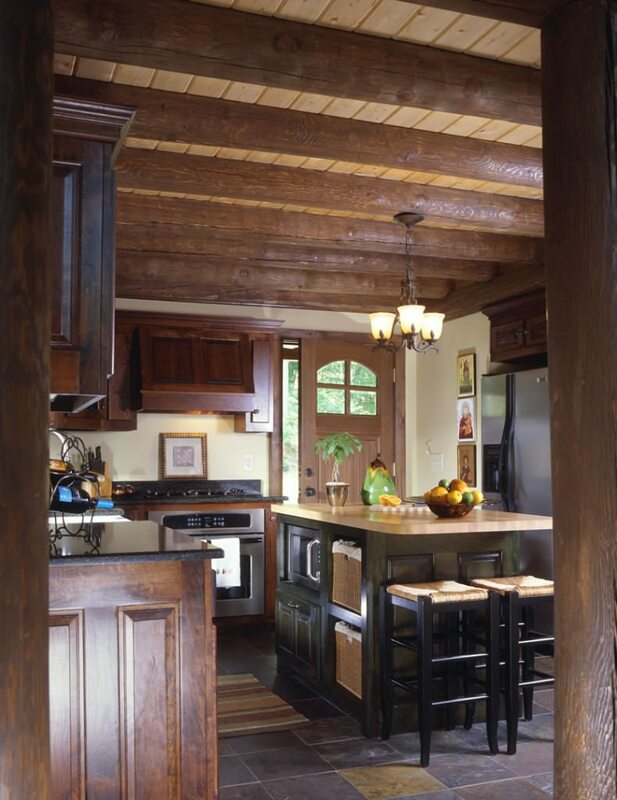 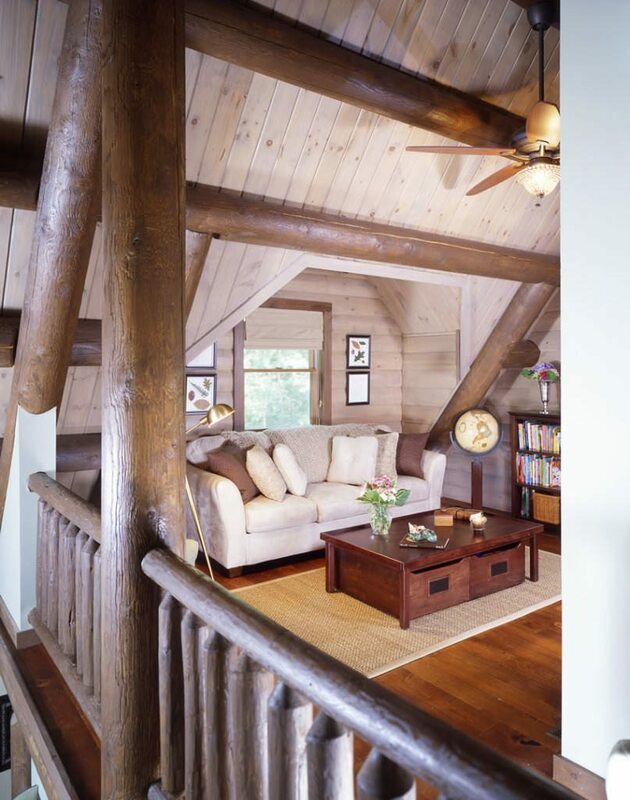 What is especially gorgeous about this Sebec is how the homeowners used a darker stain, and sometimes drywall, to show the contrasting log styles in the interior of the home. 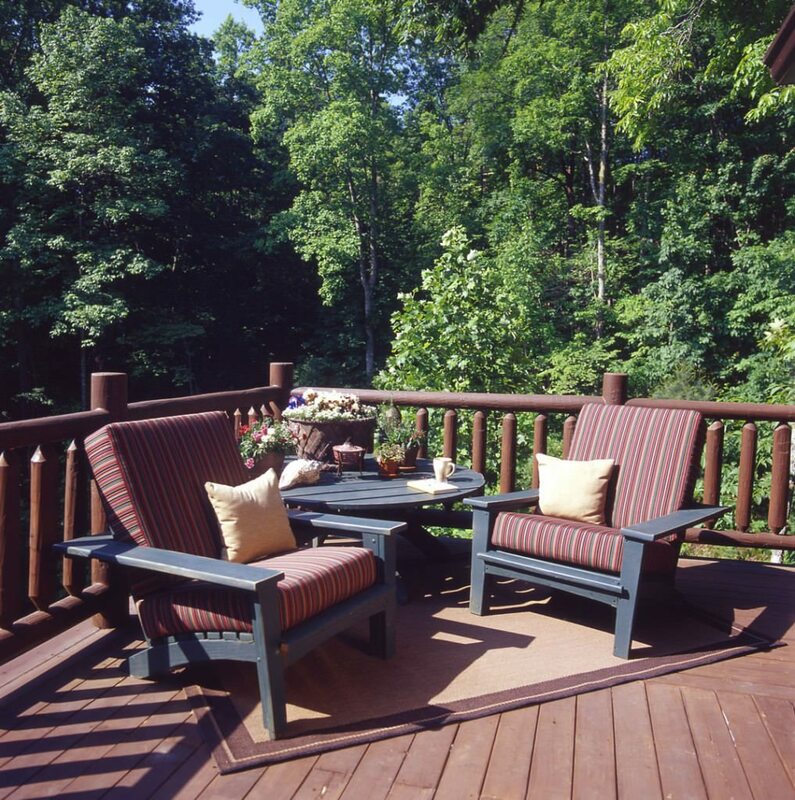 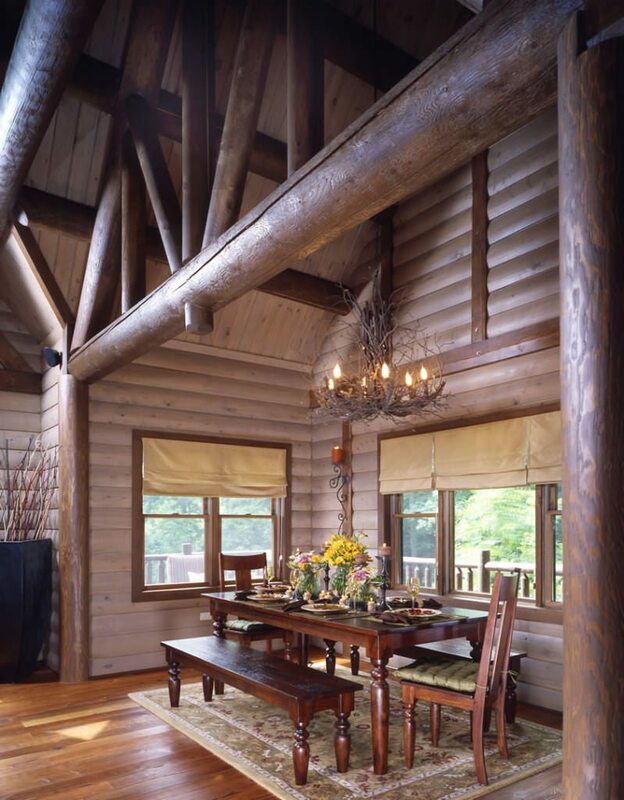 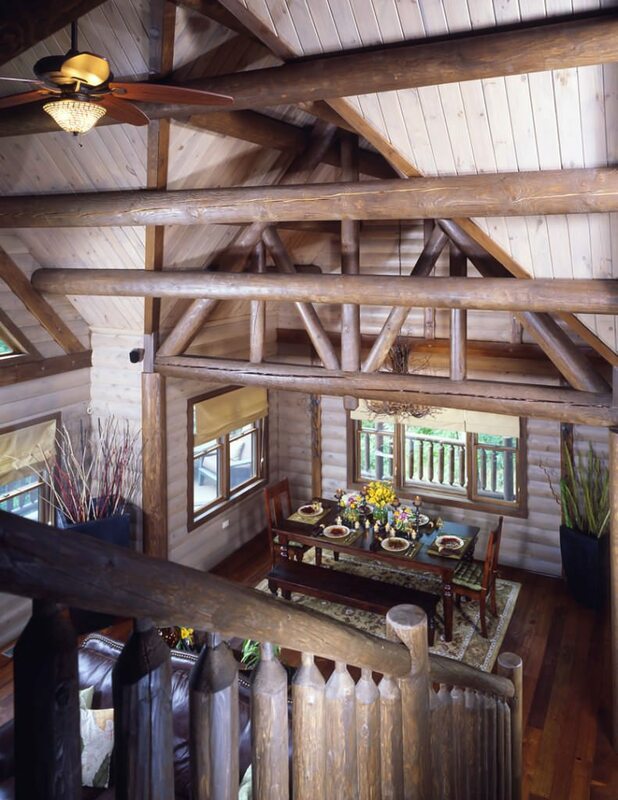 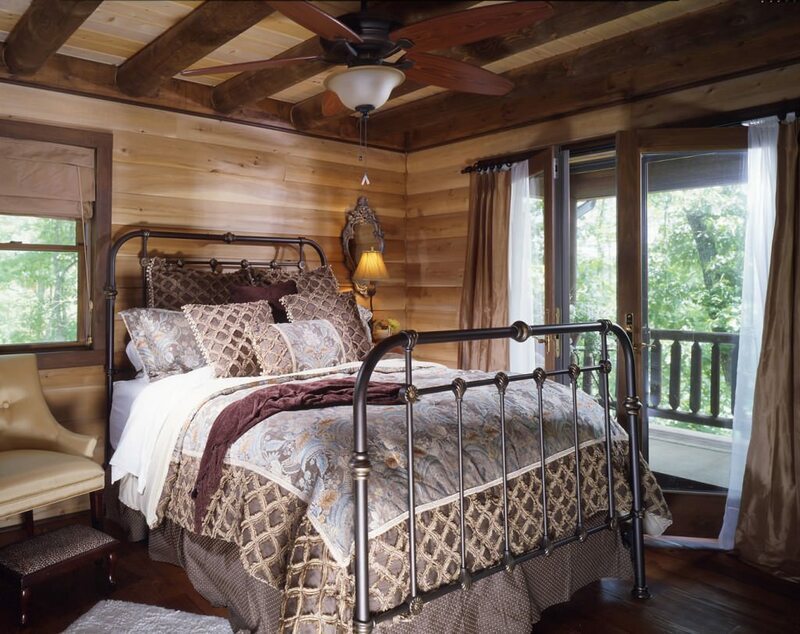 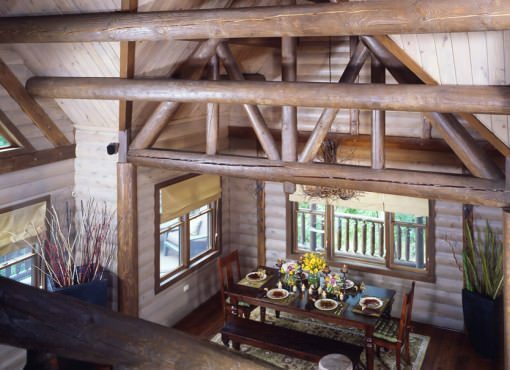 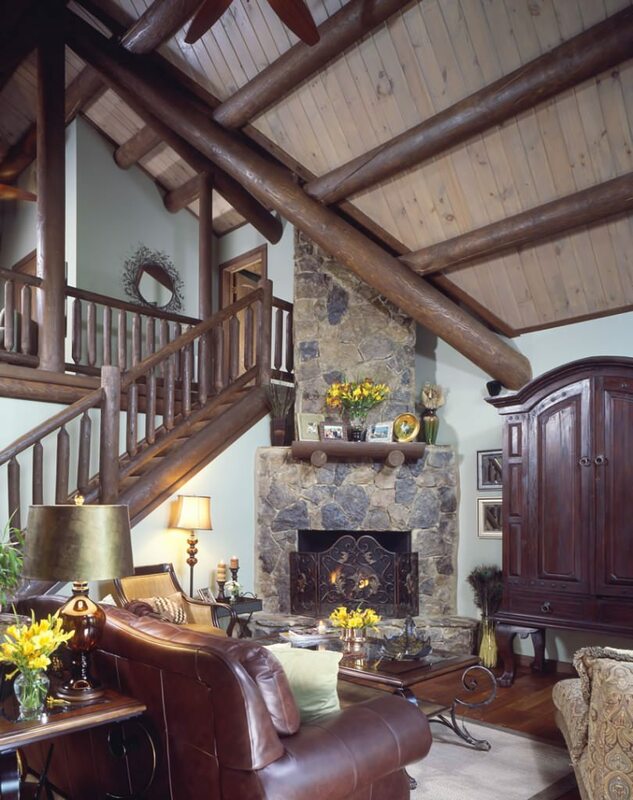 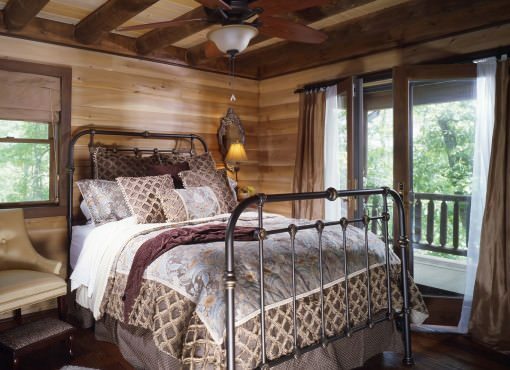 When planning your home, be sure to ask your dealer about what different stain options are available for finishing your Katahdin cedar log home kit.